Pre-Orders on Book Depository are now 16% off and ship worldwide for free! 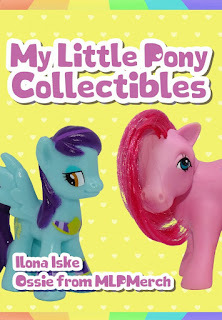 My Little Pony Collectibles is our contribution to the My Little Pony 35th Anniversary festivities, with which we embrace and share the journey of the past 35 years through milestones and stories of My Little Pony. So, what can you expect of this book? Well it's a great book for those who want a nice introduction/ overview of the whole My Little Pony Line from 1982 till present day. You won't find every pony in this book (far from it) but it does give info on a lot of different ponies released like different kinds of older generation ponies, convention exclusive ponies, ponies from other countries and more! 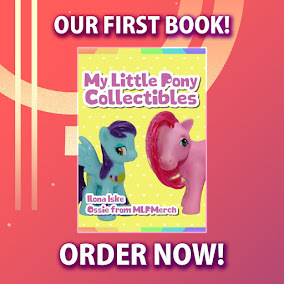 We also included a small guide on how to start and maintain your collection and some info when it comes to pricing ponies. Whether you are totally new to the world of My Little Pony, or want to know more about past generations, then this book is for you! In total the book contains 96 pages, filled with 150 photos of My Little Pony figures. Zero of which are stock photos. That's right: all photos in the book are hand-made by the My Little Pony collectors community! All of which we'd like to thank for making this book possible! Congratulations, guys. Considering how much China loves MLP, your book will be a hit there.